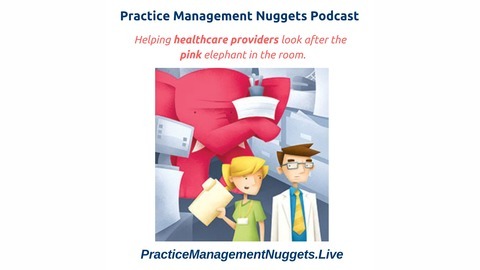 Practice Management Nuggets is an interview series with practice managers, healthcare providers, or trusted vendors who support healthcare practices. Hosted by Jean Eaton, your Practice Management Mentor and Practical Privacy Coach, of Information Managers Ltd. www.InformationManagers.ca www.PracticeManagementNuggets.Live. 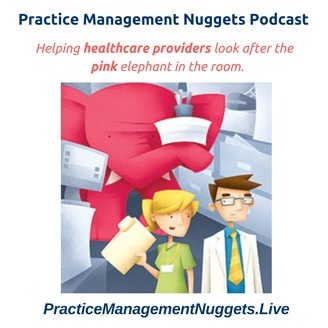 In this podcast episode, Jean L. Eaton answers frequently asked questions (FAQ) about using audit logs of your computer and your Electronic Medical Record (EMR) / Electronic Health Record (EHR) to improve security in your healthcare practice. ✔ Implementation guide – easy to read ‘how-to' instructions to get the best results from your privacy and security monthly audit. ✔ Audit form template in MS Word document format that you can download, print, and use right away. ✔ Access to mini-course with video examples to get you started. 01:10 What Are Audit Logs? 12:15 Identify Your Action Items – what will you start, stop, or keep doing? Reviews for the podcast on whatever platform that you use is greatly appreciated!